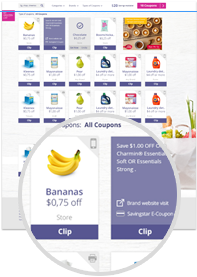 We found all of the Baby coupons available online and put them all on this page so it's super easy to find and print the coupons you want! Save $2.00 when you purchase ANY ONE (1) Fresh Monster Kids Toxin-Free Shampoo. Any variety. NEVER MISS ANOTHER BABY COUPON! Select stores: Save $1.00 when you purchase ANY ONE (1) Once Upon A Farm Organic, Cold-Pressed Food for Little Ones. Any variety.